Anheuser-Busch announced Friday its 3 minute Super Bowl 50 advertising plan including a Bud Light Super Bowl 50 Ad. Just in time paparazzi photos surface showing Amy Schumer, Ronda Rousey and Seth Rogan on set filming a Bud Light commercial. 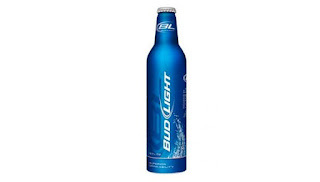 It is almost certain that the three celebrities have been filming the Bud Light Super Bowl 50 commercial. Amy Schumer can be seen holding a blue Bud Light aluminum bottle. The Daily Mail published a whole series of photos from the Bud Light Super Bowl 50 commercial filming in Los Angeles. With Amy Schumer and Seth Rogan on board, the Bud Light Super Bowl 50 ad can only be funny. Ronda Rousey seems to not have lost any market value after loosing her last UFC fight against Holly Holms. She also will be featured in the soon to be released Sports Illustrated Swimsuit 2016 Edition just wearing body paint.